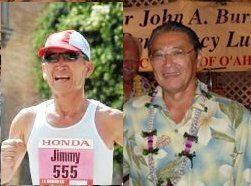 Did you know that this year's winner of the LA Marathon 65-69 division was a guy named Jimmy Toyama? Jimmy Toyama lives in Hawaii. He is 68 years old. He was also listed as the age division winner last year, but he didn't receive his plaque. He didn't receive a plaque this year either. He didn't receive his plaques because he was disqualified, yet his name is still listed on the website. Why? The real winner was Freddie Perez, Wild Mountain Runner Founder. Freddie is still listed as second place on the official LA Marathon website; however, Freddie has the 1st place plaque. He was unfairly pushed to second place by Jimmy. Furthermore, another local Sylmar runner named Trini was pushed from 3rd to 4th by Jimmy. Why Jimmy? We would love to hear Jimmy Toyama's story. What happened Jimmy? Why did you do what you did? I wouldn't vote for him. In my book, he is a big-time LOSER. However, I hope that I am wrong. I hope that it is just a simple misunderstanding. If it is, I will be the first to apologize to Jimmy, and I will be the first to congratulate him. 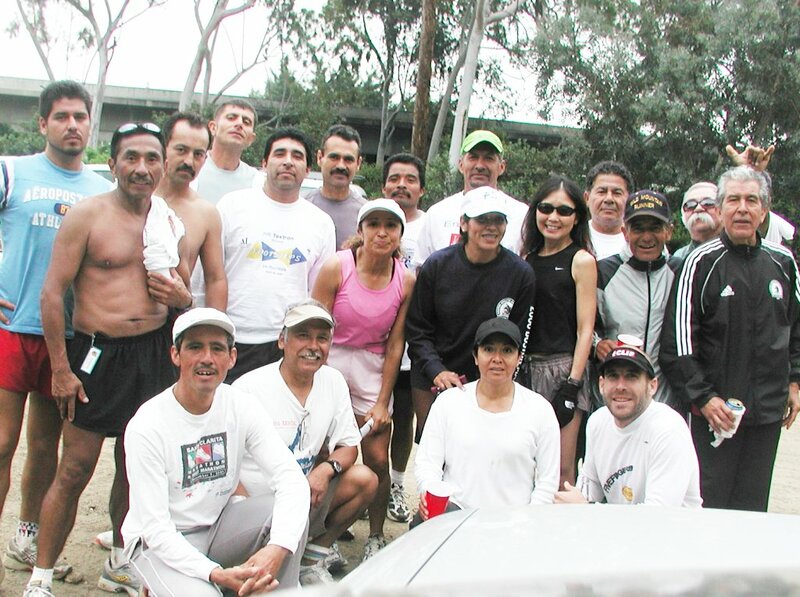 On any Sunday, you can find a bunch of Wild Mountain Runners over at Griffith Park. Chris and Betty just before the bus pick up. Rosa lining up for the pasta dinner party. Pasta and all you can drink Harpoon Ale (Bostons most popular beer). Boston post-party happen to be on Chris' Birthday . Rosa and I (Chris) were walking around downtown on our last day of stay in Boston and spotted this on somebody's apartment window. I thought it was very artsy display. Like your first 5k race, half marathon, and first Los Angeles marathon or like your first date in high school or kiss from kindergarten. 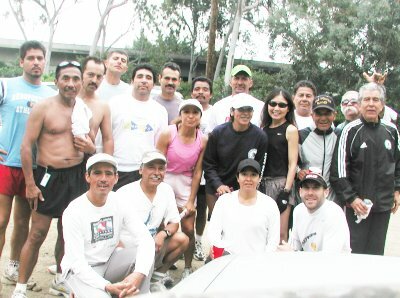 The first Boston Marathon was as memorable and exciting experience for all of us. It was a tough very hilly course. The women cheering from Wesley College (all girls school), the Hearth break hill, the crowd support, and the weather was unbelievable. I knew that my goal of a sub-3 hour marathon was not to be. Even though I didnt set a PR, my time of 3:04:24 was still my 2nd fastest yet. Between now and 2007 Boston Marathon, Ill try to acheive that elusive sub. 3 hour marathon here in our own backyard. Good ol Flat Westcoast courses of Los Angeles County. Id recommend to any runner that has the chance to qualify for Boston to participate ** at least once in their lifetime anyway. From the Hansen Dam Swim Lake up to Foothill, over to Sunland Blvd. down to Glen Oaks all the way to Osbourne. Fast pace 12 mile training run. 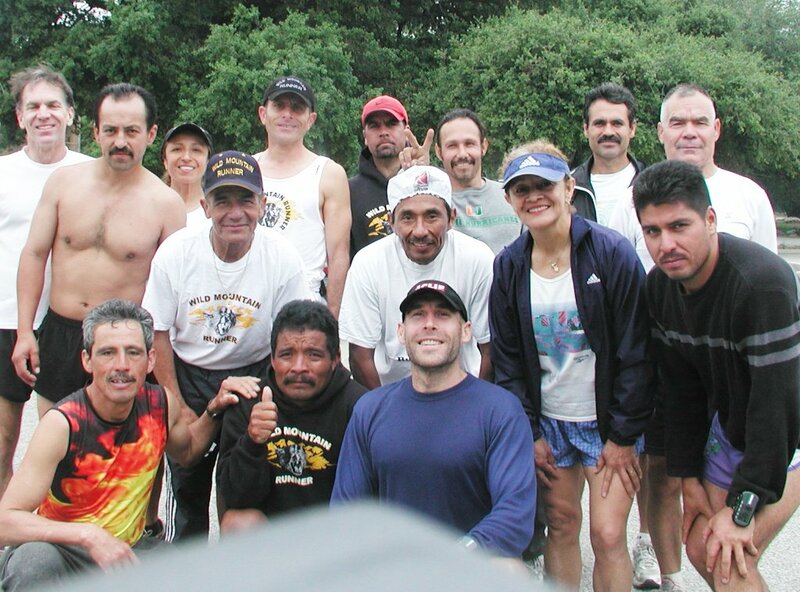 WMRs' Participate in Extreme Running! This course is extremely rocky and a runner must expect to navigate over boulders, downed trees, and hidden roots the entire distance. The trail is tricky trail with plenty of opportunities to fall or twist an ankle or take a wrong turn. The top of the hill gets foggy so much that you cannot see further then 15 feet. I had to backtrack a couple of times to get back on the course. With an overall winning time of 1:31 ish, shows this course is very tough race for even the toughest of road racers. Chris slips and fall while running down hill at the edge of a single track and crashes into a bush at mile 13. Congratulations to marathon finishers father and son Gilbert and Marcos Varela. Marcos crossed the finish line in 3:26:41 . They say you should re-adjust your time goal to atleast 20 minutes more on this hilly but scenic course. Gilbert smiles for the camera as he crosses the bridge.